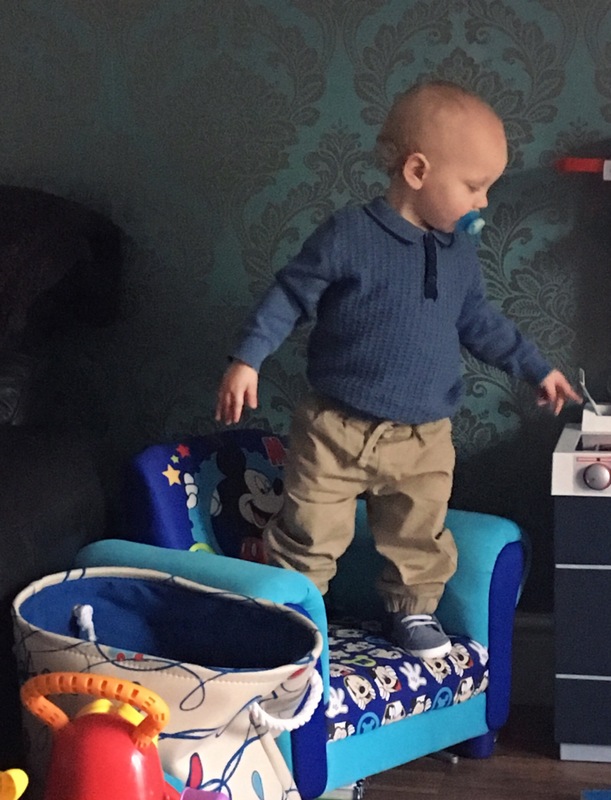 Here’s some action shots of Ollie in his cute outfit . . . 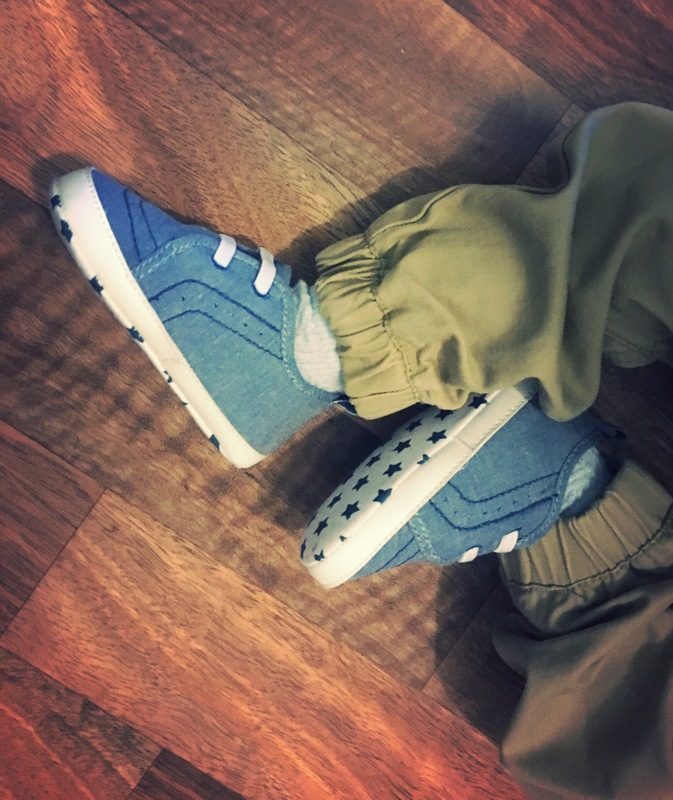 These soft bottom shoes are perfect for indoor play as they look smart but are still really flexible for playing and climbing over the furniture. I love the detailing on this navy jumper! I like Ollie to first of all be comfortable and be able to easily run around and play in his clothes. They need to be durable as little boys are very active and generally boisterous. 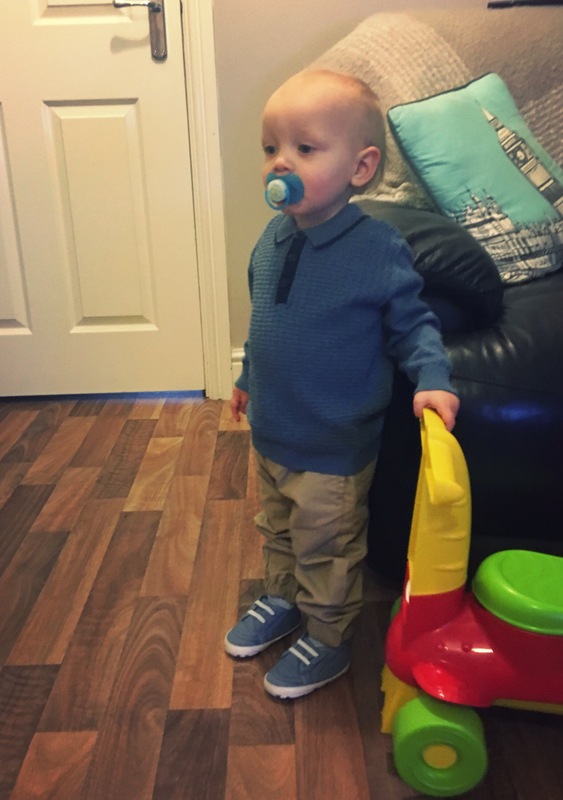 I do like Ollie to wear coordinated outfits so the colours go and to look fairly smart. 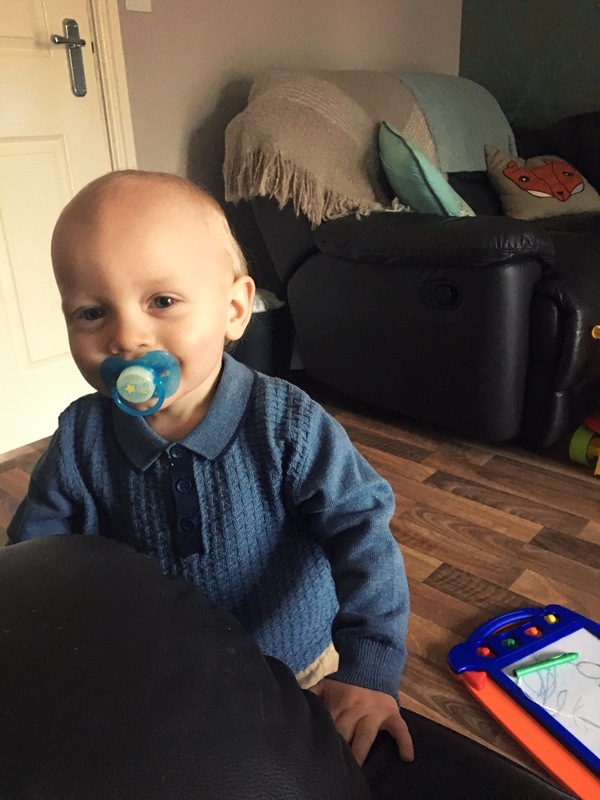 But I don’t believe in spending loads of money on his clothes as they get worn out, covered in food and he grows out of them so quickly too. So this weeks outfit consists of tan chinos, a navy long sleeve, collared jumper teamed with navy pumps. I love this look so adorable! 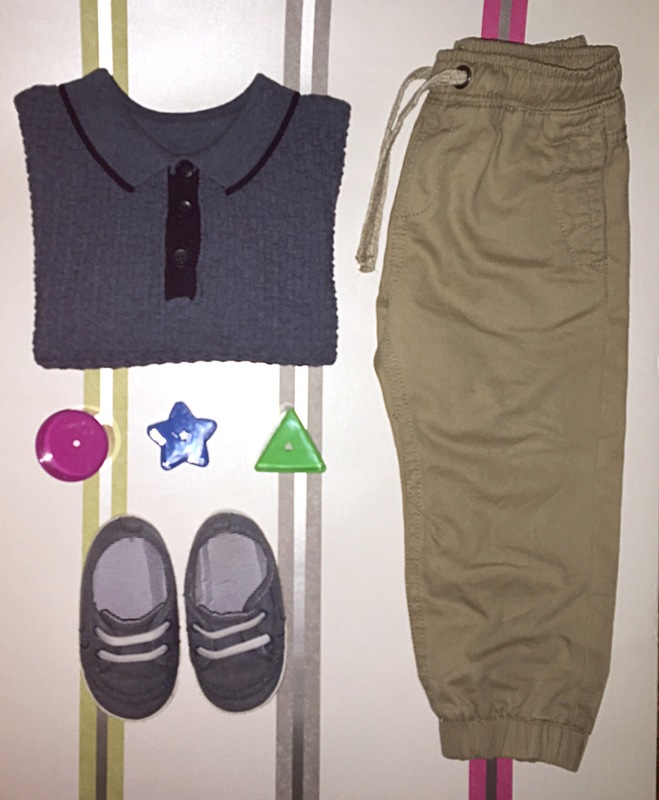 I hope you’ve enjoyed reading this post, what is your toddler wearing? All cute and dressed up. I love the jumper too.